Akira Kurosawa’s “Yojimbo” (1962, 110 minutes), starring Toshiro Mifune, will be screened on Wednesday, April 19, at 7 p.m. at three locations: Town Center 5, 17200 Ventura Blvd., Encino; Playhouse 7, 673 E. Colorado Blvd., Pasadena; and The Royal, 11523 Santa Monica Blvd., West Los Angeles. Laemmle Theatres and Anniversary Classics Abroad present this 55th anniversary screening of “Yojimbo,” a vivid, tongue-in-cheek samurai western. Kurosawa’s favorite actor, Mifune, plays an amoral samurai in 19th-century Japan. In a setup reminiscent of many classic westerns (“Shane” in particular), Mifune’s Sanjuro strides into town and tries to reconcile a battle between two warring factions. But in this case both of the gangs are equally corrupt, and our hero is no more upright. He eventually wreaks havoc on all the combatants. The sword fights have visceral force, and the violence is always leavened with humor. 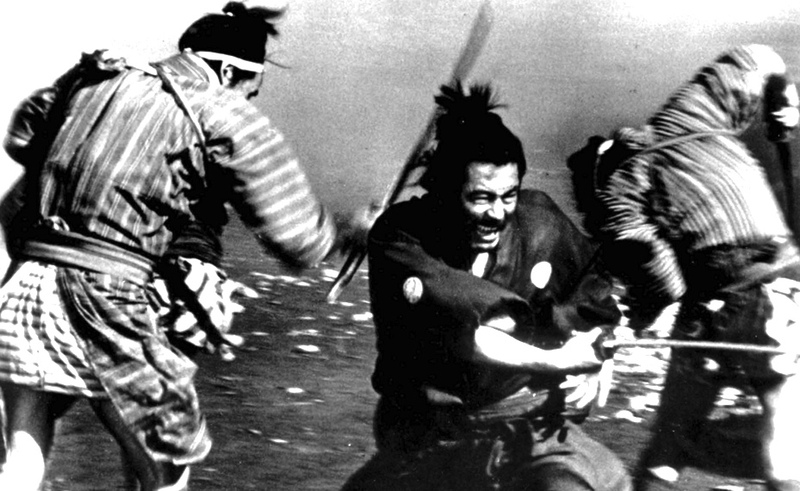 An award winner at the Venice Film Festival, “Yojimbo” also proved to be enormously influential to a later generation of filmmakers. It inspired another amoral western, Sergio Leone’s “A Fistful of Dollars,” in which Clint Eastwood’s The Man With No Name became the “spaghetti western” equivalent of the cheeky samurai killer. Later directors Walter Hill and Quentin Tarantino also cited “Yojimbo” as an influence. This screening is the second installment in Laemmle’s Anniversary Classics Abroad series, presented on the third Wednesday of each month. It will be followed by Pietro Germi’s “Divorce Italian Style” on May 17 and Ingmar Bergman’s “Smiles of a Summer Night” on June 21. The cast also includes Eijiro Tono and Tatsuya Nakadai. Not rated. In Japanese with English subtitles.